Stepping out on the deck to watch a sunset just became an even higher quality experience with our Ultimate Sliding French Doors. Traditional wide stiles and tall bottom rails frame your view like fine art featuring one of 6 high-quality wood options. 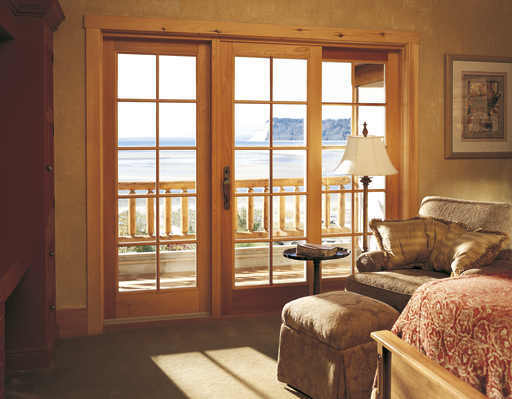 The Ultimate Sliding French Door has numerous custom capabilities as well as a unique stainless steel roller system to ensure years of effortless operation. Available in two, three, and four panel configurations in sizes up to CN16080. It is ENERGY STAR® qualified and offers a LC-PG40 performance grade rating along with breathtaking views. The Marvin Ultimate Sliding French Door will enable you to enjoy the elegance and upscale look of a traditional swinging French door, with a space-saving sliding design. You can feel the superior quality in the substantial wood and the nearly effortless operation of the door sliding along the tough Ultrex sill. Your doors deserve to be a focal point in your home — after all, you use your doors countless times a day, so why settle for something that just blends in? Marvin Sliding French Doors are truly the best of both worlds. Combining the subtle yet upscale elegance of one of the world’s most beloved designs with the effortless ease of traditional sliding glass, these doors are one of the best ways to upgrade the look and feel of your space while also adding versatility and ease-of-access to your patio, meaning you simply get more enjoyment out of your home. 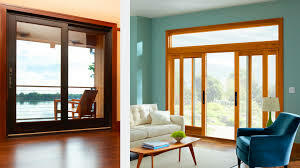 Call now for your free estimate on the Marvin Ultimate Sliding French Door!